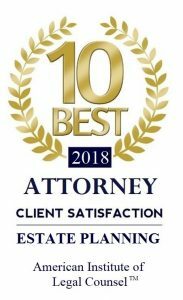 At the Piatchek Law Firm, our attorneys would be happy to assist you with your guardianship and conservatorship estates. In fact, we can handle your guardianship case from start to finish. Typically, we will first ask whether the person in question is incapacitated or not. Is this person capable of handling his or her own affairs? If the person is capable, perhaps there is no need for a guardianship or conservatorship – perhaps a power of attorney is what is needed. Almost every day clients ask our attorneys what to do about a family member who is having trouble handling his/her own affairs or taking care of himself/herself. 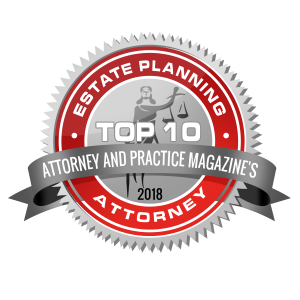 We are often asked whether we should use a “power of attorney” to help the situation, or if we should instead be looking at guardianship and/or conservatorship. There seems to be a lot of confusion out there regarding how these two mechanisms work and when one or the other should be used. The explanations to these two concerns are related and intertwined. The person does have the capacity to understand and sign legal documents and handle their own affairs. If the person does have the capacity to handle their own affairs, usually a power of attorney document can be utilized. The person must have capacity in order to sign a binding legal document, whether that is a will, a business contract, or (in this case) a power of attorney. With a power of attorney document, the first person appoints a second person to handle the first person’s affairs. When possible, creating and signing a power of attorney document is a quick and affordable alternative to establishing guardianship/conservatorship (which is not necessarily quick, simple, or cheap). This is why it is a good idea for everyone to have a power of attorney document in place, even if there is no current perceived danger of becoming incapacitated. Any one of us could become incapacitated at any time, either due to an accident, a medical condition, or aging. If the person does not have the capacity to handle their own affairs, it is too late to sign a power of attorney document. By definition, a person that does not have capacity cannot understand or sign legal documents. In a case like this, our attorneys will instead discuss a guardianship or conservatorship. During this process, a guardian is appointed by the court to make the person’s legal and healthcare decisions. A conservator may also be appointed by the court to make the person’s financial decisions and pay their bills. Establishing a guardianship and/or conservatorship is essentially a two-step process. First, you must prove in court that the “ward” (the principal person to which we are referring) is, at least in part, incapacitated, incompetent, or incapable of handling their own affairs. Once this has been proven to the judge’s satisfaction, the next step in your case is to prove that you are the best choice to be appointed to handle the ward’s affairs as their guardian and/or conservator. Proving that the proposed ward is incapacitated, incompetent, or incapable of handling their own affairs can be a complicated process depending on the proposed ward’s current condition. It sometimes involves presenting evidence and calling on doctors and other healthcare providers as witnesses, so hiring a reliable lawyer will be necessary. In uncontested cases, it is possible that all of the parties will stipulate and agree that the proposed ward is incapacitated. In addition, everyone may agree that a certain person should be guardian and/or conservator. Uncontested, cooperative cases can be very simple. However, cases can be contested for many reasons. Perhaps the proposed ward (or someone in the ward’s family) does not believe the ward is incapacitated. Perhaps everyone agrees about the ward’s incapacity, but they disagree regarding who should be appointed guardian/conservator. Contested cases can be quite complicated and time consuming, so you will need an experienced and aggressive litigator by your side. At the Piatchek Law Firm, we are happy to help clients with both contested and uncontested guardianship and conservatorship cases. We will take the time to meet with you, assess your case, explain your options, and proceed with your case in the way that best makes sense. For a consultation with an experienced attorney, please contact our offices at 417-882-5858 to set up an appointment or to speak with one of our attorneys.